Welcome to Annunciation of the Lord Book Club! Strengthening our Christian Faith and Promoting Parish Life is the goal of our club. Each month, we choose a new book to read and meet to discuss it! 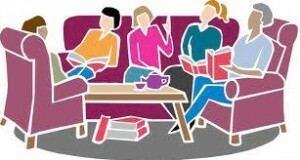 Book Club meets at Java Jaay’s on the 2nd Thursday of each month at 10:30 am. See the Current Bulletin for the latest information.